Philippines – On December 5, 2016 the second highest elected officials of the country, Vice President Leni Robredo submitted a resignation letter as a member of the cabinet of President Rodrigo Duterte. She vacated the cabinet position as Chairperson of Housing and Urban Development Coordinating Council (HUDCC) where Pres. Duterte appointed her. According to the vice president itself, she decided to resign because she think that she cannot perform her duties as HUDCC secretary, if she cannot allowed to attend in any Cabinet meeting? Last Saturday, VP Robredo received a text message from Cabinet Se­cretary Jun Evasco Jr, relaying a message from President Duterte’s instruction through Bong GO that VP Robredo can no longer attend any cabinet meeting starting December 5, 2016. The vice president suspicions of not allowing to attend the cabinet meeting is that her differences with the president on what is happening to the countries might lead to it? Such as her against in Extra Judicial Killing, her bold protest on Marcos burial at the Heroes Cemetery (LNMB) and the rumors of her being removed as vice president of the country where the alleged true winner Bongbong Marcos will relieved her as the true vice president of the country? The VP also send a clear message to the Filipino People that she is ready to lead the opposition to continue to fight for what is right and to oppose the policies of Pres. Duterte where she think is not right? 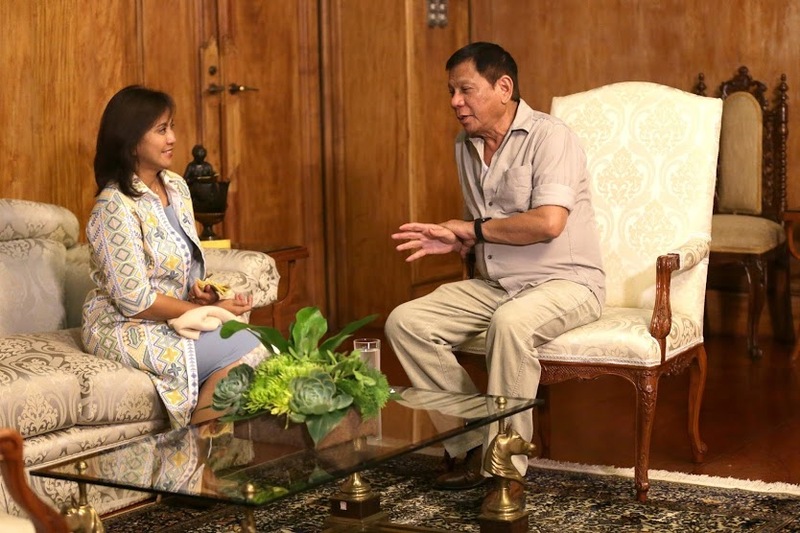 VP Robredo, is known to be a political allies of the Aquino’s administration or LP. A known political rivalry of Pres. Duterte where he fought Mar Roxas for Presidency? The resignation of VP Robredo, or the firing of VP Robredo from the Duterte’s Cabinet is might be another political strategy for both sides? No Comment to " VP Robredo, Step Down as HUDCC Chairperson "